In order to best serve our customers and adapt to their requirements we sometimes have to relocate our project equipment. 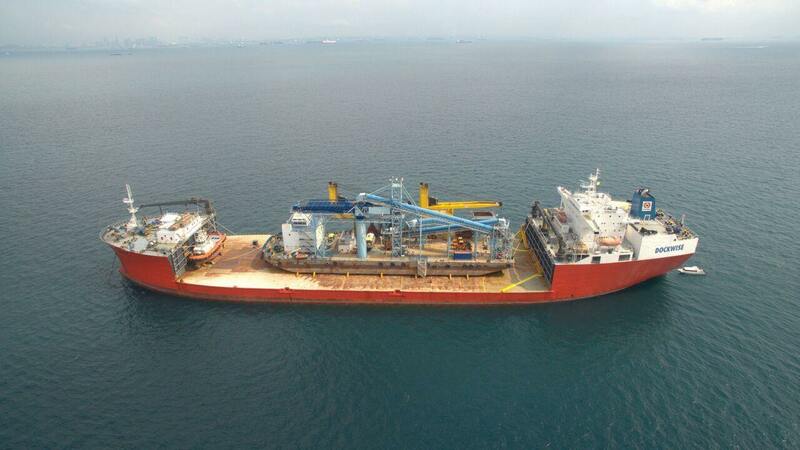 The transhipment platform “Lena” was towed from Guyana to Trinidad where it was loaded on the semi submersible vessel “Trustee”, and transported to Batam, Indonesia. Also transported to Indonesia were the tug “Kiev” and the crew boat “Christine”. Simultaneously with her regular dry docking, the height of the cranes on the “Lena” will be increased at a shipyard in Batam to be capable of transhipping cargo from capesize bulk carriers. 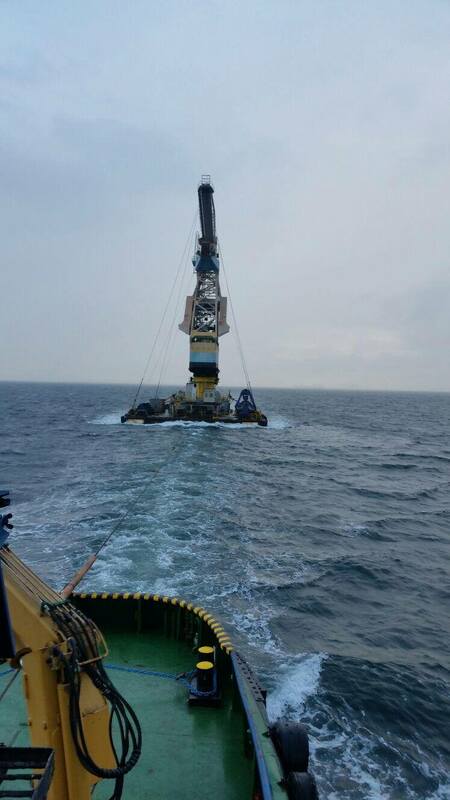 We have recently towed the floating crane “Mia” from Trinidad to Guyana. The “Mia” is a pontoon fitted with a Figee Lemniscate 36 ton crane. While in Trinidad the crane was used together with 3 other floating cranes to tranship iron ore, coal and bauxite from supramax and panamax vessels to capesize vessels. In Guyana, the “Mia” will be used for bauxite loading in the basin of the Berbice River in order to achieve a quicker loading of the Oldendorff vessels. The “Mia” will also be used for storing the spares and docking the pilot boats. 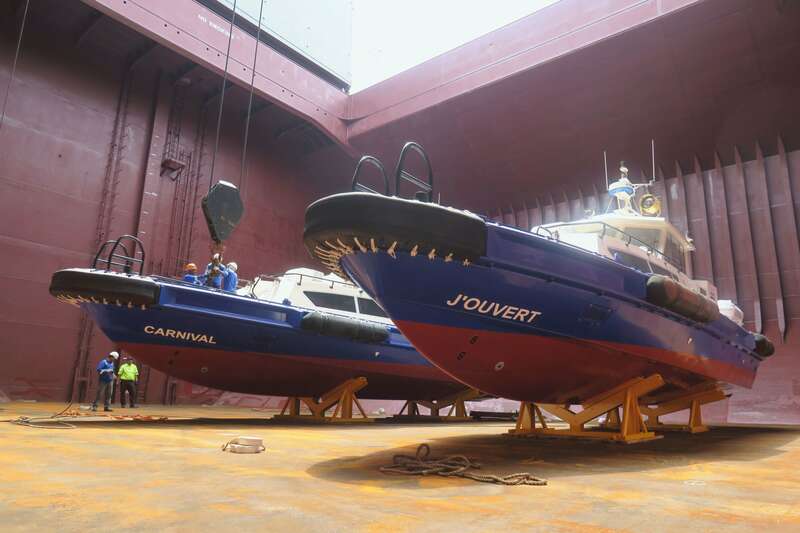 Two new Damen 1605 crew boats were purchased in Singapore for our Trinidad operation and were given very Trinidadian names “Carnival” and “J’ouvert”. They were loaded in the spare cargo hold of an Oldendorff chartered vessel “Mandarin Fortune” and transported to Trinidad.